After school today, we went and voted. 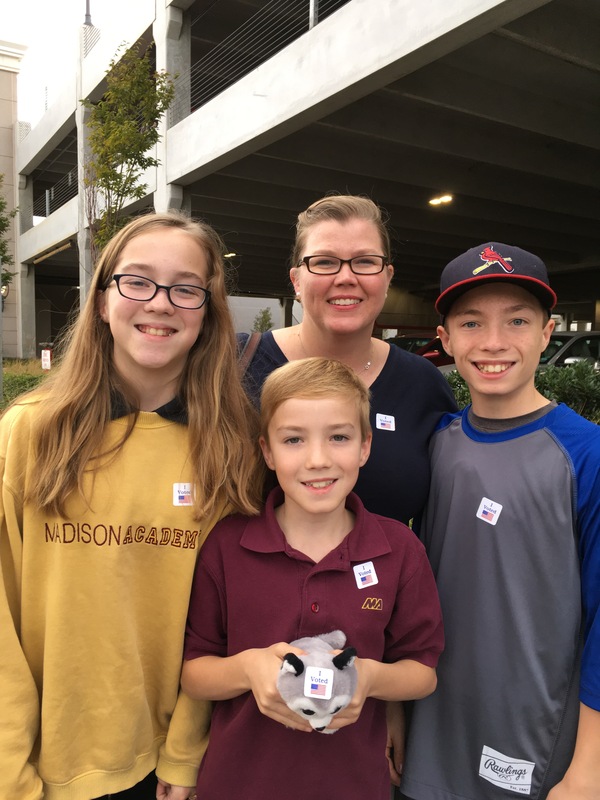 I always love bringing the kids with me to vote. We were able to get a free cookie from the Great American Cookie Company and have dinner at Connor’s with my mom. We’ve spent the night watching the votes come in. I’ve enjoyed watching the kids watch the news coverage. They are really interested in how this whole thing works.